Free Video Reveals: How To Make Up To $500k/yr.All From One Website! The Evolution of Blogging. It use to be something bloggers did to express themselves. However, now it's used to highlighting a particular topic for promoting products. This brings an interesting point. Way of the blogger - writing for self or others. Simply put, are you going to start a blog that is more personal or more business? Today blogs are written around a certain topic. This topic can be something you are passionate about or something primarily for the sake of earning an income. Believe it or not, a blog can be both. In both ways you can write to gain a following and promote products/services related to your topic. Blogging is, in fact, a business. This is the way I see it, time involved in research and writing can be a full-time job. Even now, I only post once or twice a week to my blog, it takes up a good deal of time. While I'm working a full-time job, I find it hard to have the disipline to write and post like I should. For me writing is easy enough, however, I have to research and stay on top of SEO methods. Another part of blogging is marketing. After posting I have to post to Social Media sites to spread the word. Recently I start using Crowdfire for this purpose. Not only do I post my articles to Facebook, Twitter, Instagram, Pinterest and LinkedIn. I have increased my following in each of these social media sites. For ranking my blog on Google I signed up to Wealthy Affiliate. The training is amazing. I've learned more about Keyword Research and different ways of blogging. You also learn more about SEO and really the basics behind affiliate marketing. There are two types of blogs: free and self-hosted blogs. 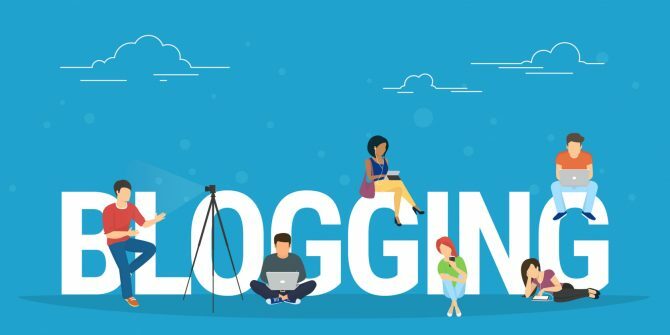 Examples of free blogs are Wordpress or Blogger. These are good for starting out with, just to get your feet wet. Self-hosted blogs require buying a domain name and pay for hosting. The down side is the cost, the upside is that no one or nothing can take it away from you. 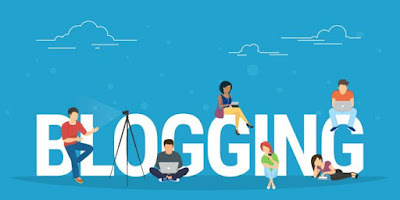 The free blogs you're at the mercy of Wordpress or Blogger. You never know when they will shut your blog down for violation of Terms of Service. You should look into going Self-hosted blog. Speaking of which, Wealthy Affiliate is also a blogging platform. If you are a Free member you are allowed 2 sites. As a Premium member you can create up to 50 sites. This alone is worth the $49/mo. subscription along with the training provided. To monetize your blog, you just search for products related to your topic and check to see if an affiliate program is provided. Most people sign-up to Amazon. The beautiful part of Amazon is that even if a person doesn't buy what you're selling, you can still make commissions on anything else they buy. This is just a little glimpse into blogging. Way of the blogger - writing for self or others. There is always an opportunity for making money blogging. And keep in mind, the awesome blogging platform offered from Wealthy Affiliate. To Learn More Click the Banner Below and Check it out! Cheers! Have you been wanting to start your own business online in 2018? Affiliate marketing has been one of the most popular choices for working online. However, if you are a beginner, you might want to get the basics first. Affiliate Marketing Training that offers both Lessons and Videos for easy following is the way to go. And because you're a beginner, you also want something that is Free to Join. The Internet is full of useful information and it is also full of scam artist. It seems that everyone is offering that secret method or golden shortcut. The best way to steer clear of the scams is to learn affiliate marketing the right way. True enough, you won't start earning 6 to 7 figures overnight. But, you do want to learn the correct methods to get you there faster. Learning blogging, keyword research, content writing and list building are some of the basics to affiliate marketing. Blogging, keyword research, content writing and list building all go together. If done properly can mean a significant income for years to come. Blogging itself can be fun, if you write about something you're passionate about. Any blog can be monetized, but you must write engaging content to develop a following. Once you get a following, you can use Google Adsense, Affiliate Networks or sell your own products. Keyword research is needed to rank your blog post for specific keywords. I'm not going to get into keyword research because there are a lot of methods out there. List building is where you collect emails from visitors to your blog. With these emails you can send out newsletters or even promote other affiliate products in your niche. Just like with the blog, you must develop a relationship with your subscribers. You can jazz up your blog post with images or even YouTube Videos. Anything that will get your message across to your readers. A great affiliate marketing course is Wealthy Affiliate. It has excellent training for beginners, lessons and videos and it's free to join. Don't go at it alone, Join Wealthy Affiliate and learn the right way with a community that is there to help you every step of the way. One of the attractions of affiliate marketing is being a "hands free" way of making money. Other advantages are not dealing with customer service, refunds, returns or any other basic hassles of running a business. The disadvantage is the small commissions earned compared to being a product creator. You might have noticed that more and more gurus are encouraging product creation. While this will bring in more money, it will also bring you more grief. Thus, we will discuss avoiding the disadvantages of affiliate marketing. The easiest form of affiliate marketing is getting into CPA (Cost Per Action). This is preferred due to the simplicity in the marketing method. CPA is making money by collecting Emails, or Leads. You are paid for every Lead you collect. With this said, it is the most difficult to get approval to a CPA Network. Building a relationship with your affiliate manager is necessary to getting into a CPA network. The money is in the list. Easy concept, but hard in actual practice. Simply put, you will need a web-page builder (opt-in form), a hosting account and an Autoresponder. You can offer a PDF report, Ebook or Video Course as an Ethical Bribe. The idea is to give something of value in exchange for an Email address. Once you have someone on your list, the time comes for you to build a relationship so that there is trust. With trust is established, promoting products to your list to make money is possible. It's important to always provide value to keep your subscribers interested. Research in finding out what is there a market for. Something that will solve a problem that people are actually looking for. The research starts at forums to see what people are complaining about. Sometimes a simple survey can go along way in finding the answers you seek. Your product can be a digital information or even a software, for those who really have the money to put in. Another product can be a membership site or training course. Avoiding the disadvantages of affiliate marketing, can be simple or full blown drama. It depends on what you're prepared to deal with. There are limitless rewards when going into affiliate marketing and there are also a multitude of headaches. Just keep at it and eventually you will get to where you want to be.